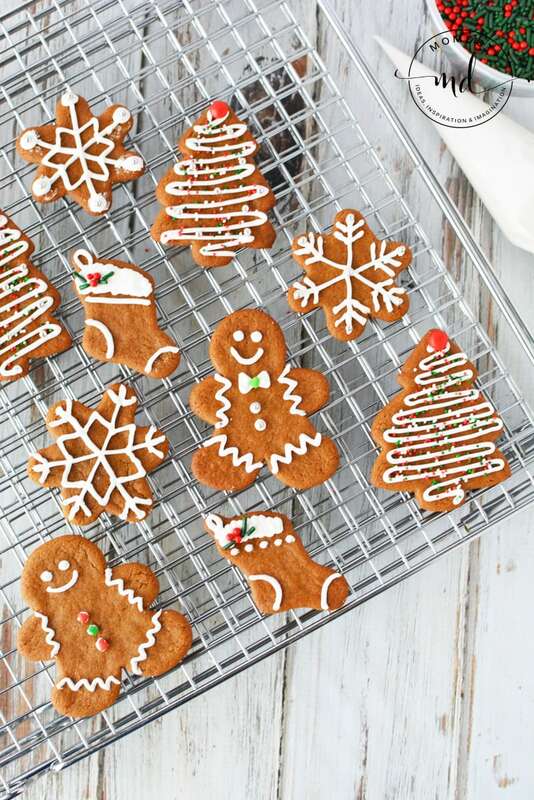 Easy Gingerbread Men Cookie Recipe! Nothing says holidays like fully decorated gingerbread men cookies. 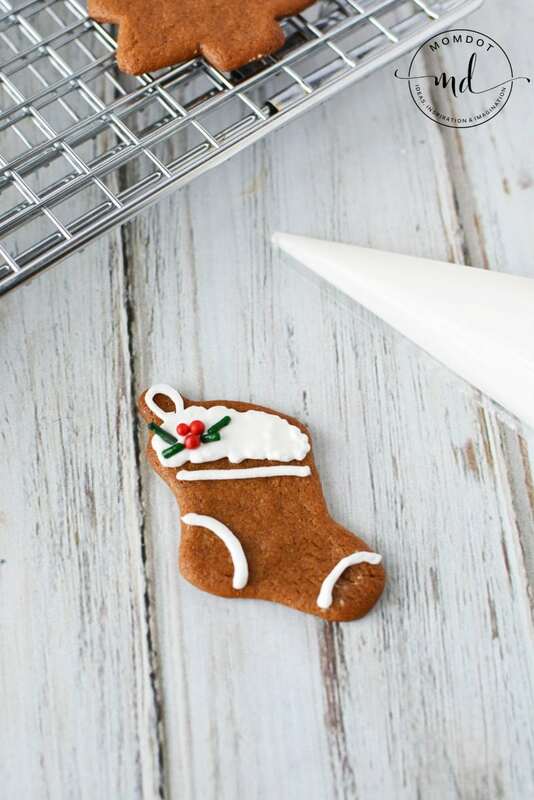 The recipe below will teach you how to make a gingerbread cookie and help you get started on homemaking some of the best AND cutest gingerbread men (and more) out there. Your entire family will enjoy baking from beginning to end; or at the very least, the end! These cookies are the perfect consistency, a not too soft, not too hard gingerbread cookie that looks beautiful in royal icing and sprinkles. 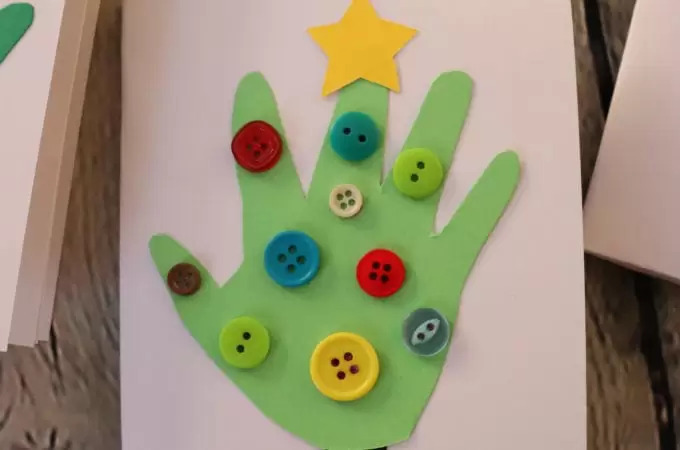 Now that your Mason Jar Lid Wreath is hung, it’s time to start baking! 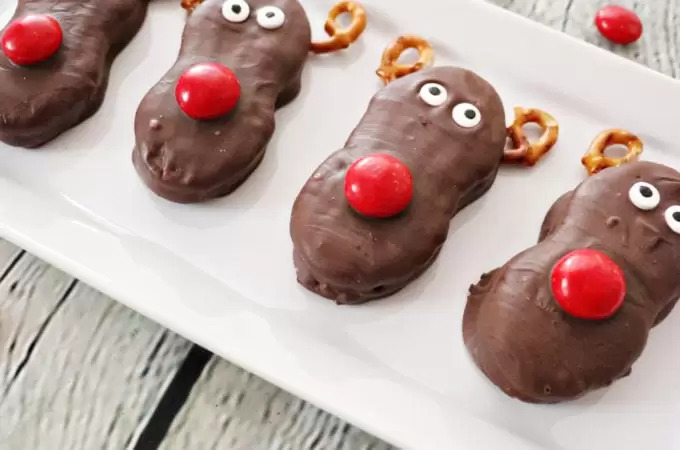 You can use this recipe to make adorable little gingerbread men and women or shape how you want with fun holiday cookie cutters. 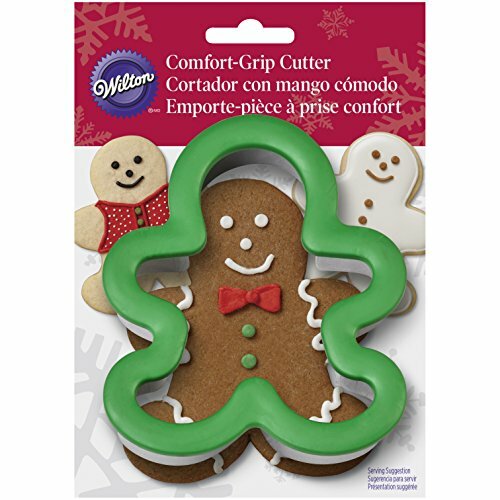 Our favorite cutters and important tips in creating your cookies listed below article! Please read entire article prior to baking to ensure best results for no spread cookies. 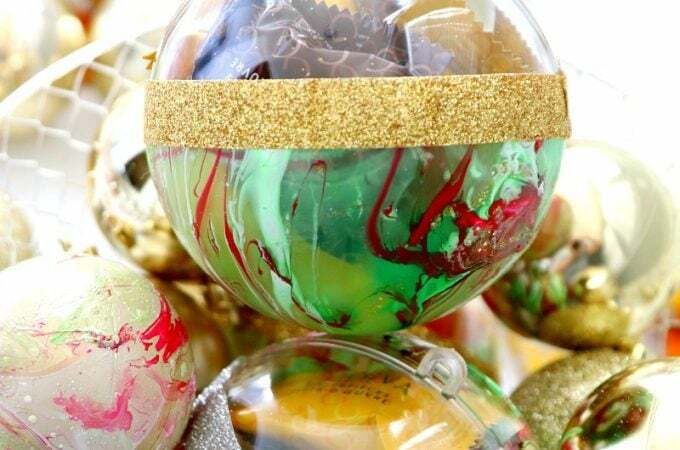 Still looking for awesome holiday favorites this season? Do not leave before grabbing this no bake eggnog cheesecake recipe and course fan favorite, cinnamon rock candy! 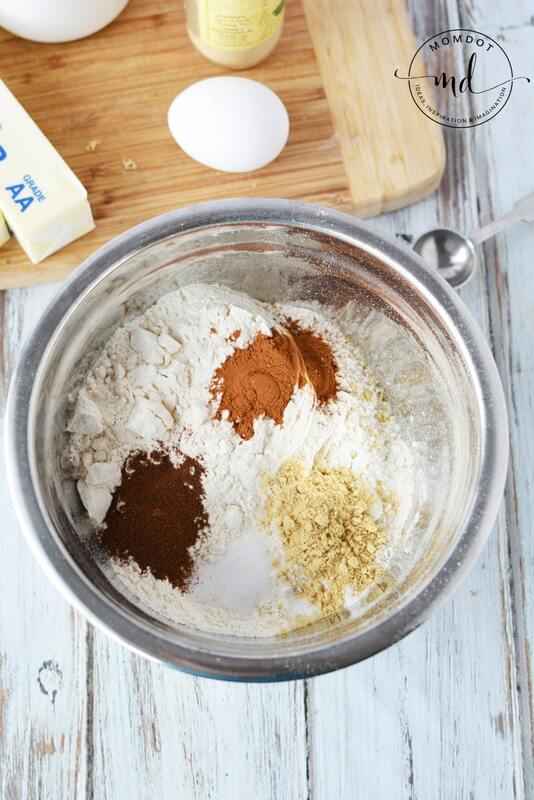 In a small bowl, add flour, banking powder, baking soda, salt and spices. Mix butter and brown sugar until well blended. This may take a bit but mashing the butter and the sugar together with the back of the spoon works well. 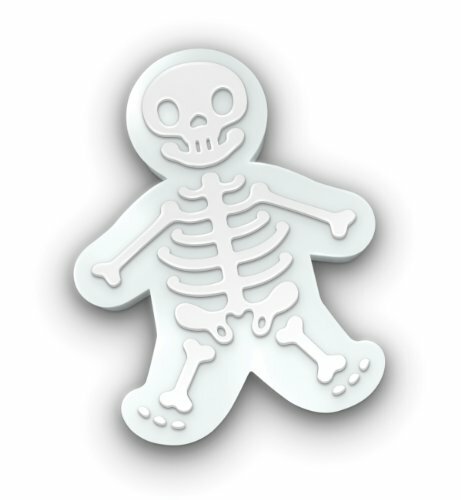 Place your gingerbread dough onto a piece of plastic wrap and wrap tightly. Break off 1/4 of the dough and return the remaining to the refrigerator. Place dough onto a lightly floured surface and using a rolling pin, roll to 1/8″ thickness. 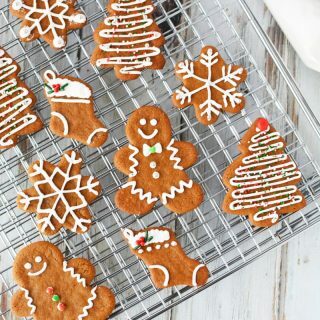 Use gingerbread cookie cutters to cut dough and place onto prepared pan. Bake for 7-9 minutes or until they are set. Remove from oven and let cool on pan for 1 minute. Transfer to a cooling rack to cool completely before frosting. 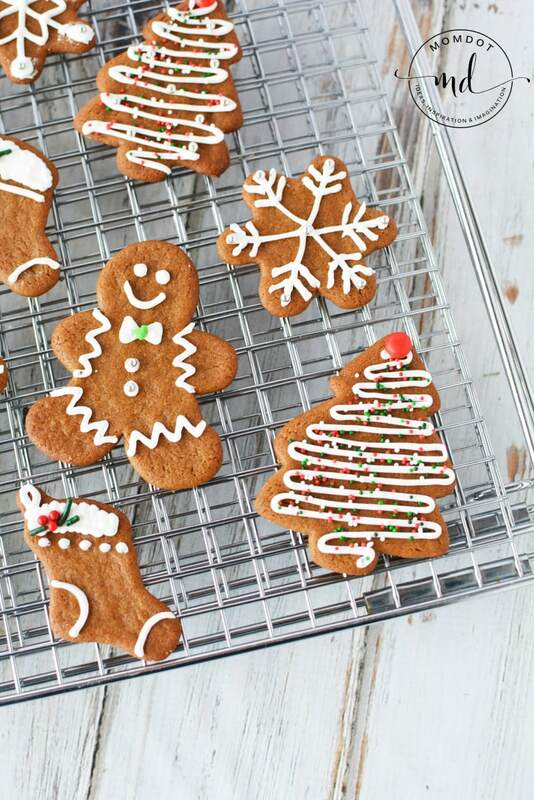 I told you this was an Easy Gingerbread Men Cookie Recipe! Now onto the super fun part…decorating your cookies! Add meringue powder and sugar into a mixing bowl. If necessary add another tablespoon of water. How do you know when your icing is ready? Scrape down the sides of the bowl as you mix and if you stir the icing and it doesn’t move much after you stir it, it’s ready. If it moves and holes settle in, beat it longer, perhaps up to 5 minutes. Place into a piping bag. The easiest way to do this is to turn the top of the bag down, place it into a drinking glass and create an opening. Scoop the icing into the glass. 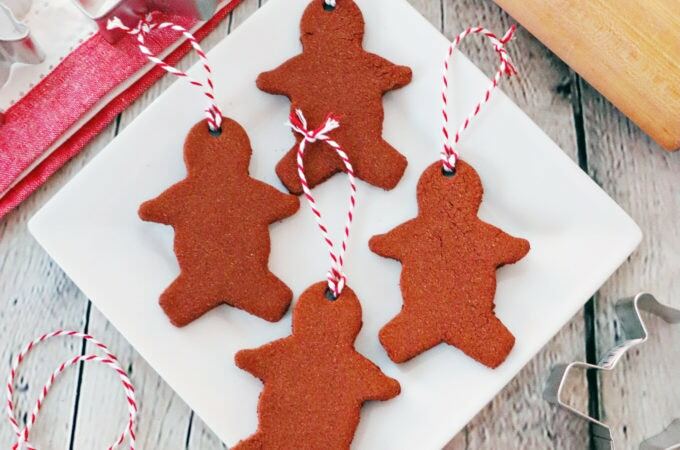 Now that you have the best gingerbread men cookies, you need to ice them up and make them cute! Cut the tip of the icing bag and pipe designs onto the cookies. Decorate with sprinkles and jimmies . Let set to harden. 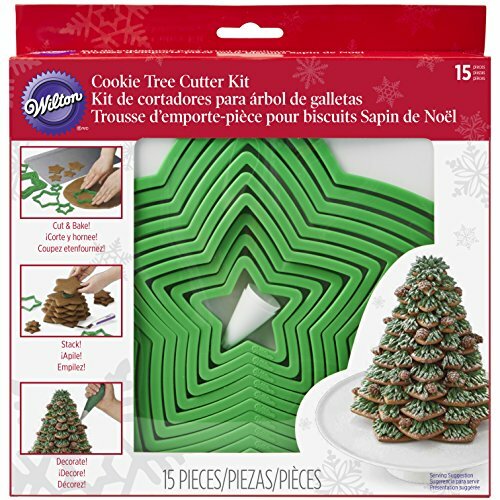 Depending on the size of your cookie cutters you’ll get 6-7 dozen cookies. My best piece of advice is to roll these thin…1/8″, not 1/4. If you roll them at 1/4″ they will puff up and your cutouts will look a bit bloated and deformed. I made the mistake initially. Also, keep the dough chilled. It helps make the cookies much more manageable! 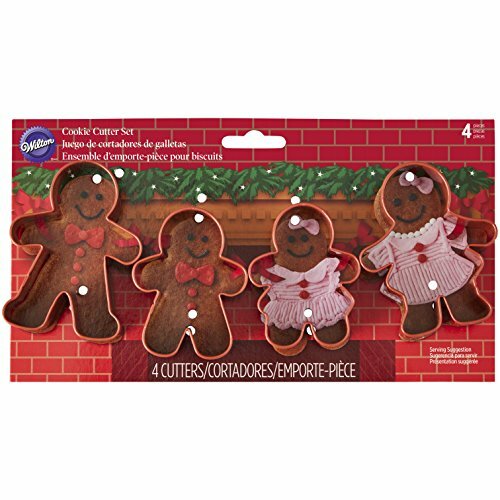 Its fun to have Gingerbread Family cookie cutters in all sizes, but also making alternative designs is awesome. Try this gingerbread tree and this GingerDEAD guy- all with fantastic reviews on amazon! 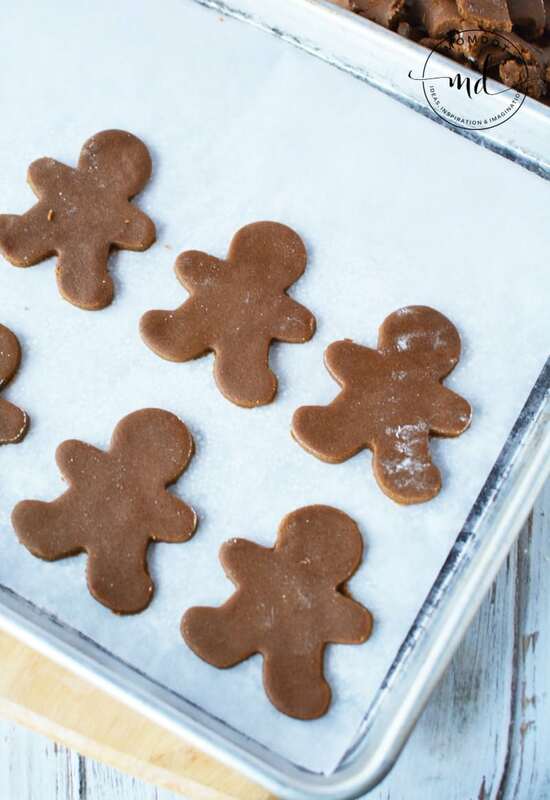 Easy Gingerbread Men Cookie Recipe, perfect recipe for making consistent gingerbread cookies! In a small bowl, add flour, banking powder, baking soda, salt and spices. Mix well to combine and set aside. 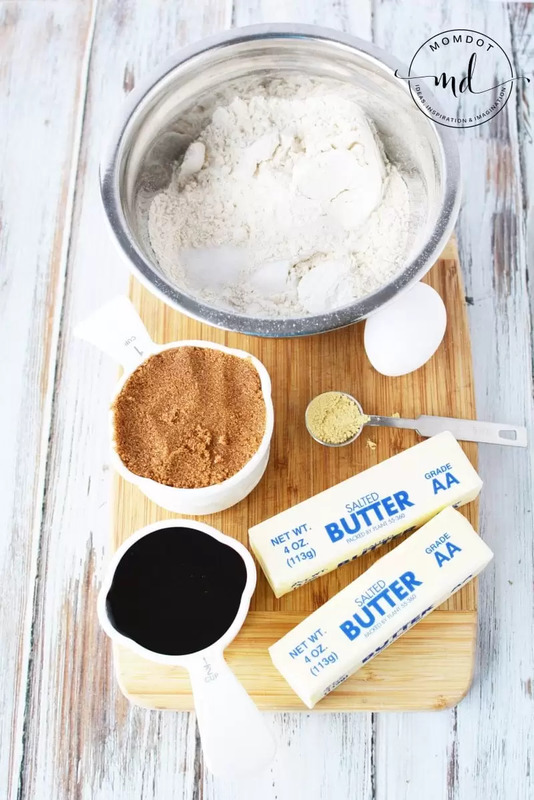 Mix butter and brown sugar until well blended. This may take a bit but mashing the butter and the sugar together with the back of the spoon works well. Add egg and mix well. Stir in molasses. Add flour and mix until just combined. Place dough onto a piece of plastic wrap and wrap tightly. 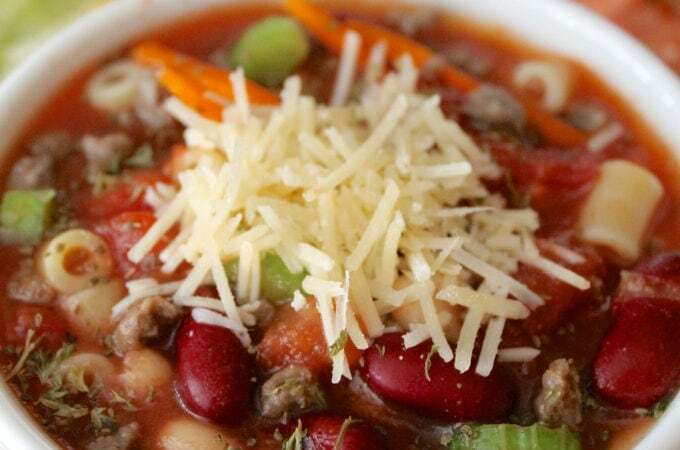 Refrigerate for 2-4 hours. Preheat oven to 375 and line a baking pan with parchment paper. Break off 1/4 of the dough and return the remaining to the refrigerator. Place dough onto a lightly floured surface and using a rolling pin, roll to 1/8" thickness. Use cookie cutters to cut dough and place onto prepared pan. Bake for 7-9 minutes or until they are set. Remove from oven and let cool on pan for 1 minute. Transfer to a cooling rack to cool completely before frosting. Cut the tip of the icing bag and pipe designs onto the cookies. Decorate with sprinkles and jimmies. Let set to harden.